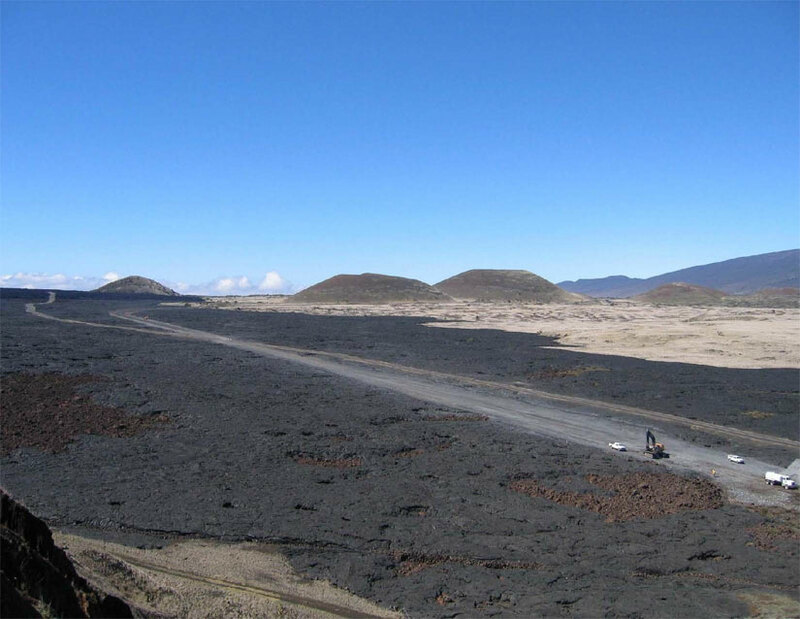 What began in 1942 as an access road to the Pohakuloa Army Base on the Island of Hawaii has since become an important cross-island link between East and West Hawaii. Saddle Road, built by the Federal Government, was turned over to the Territory of Hawaii in 1945. When territorial funds ran low, road maintenance duties were transferred to the County of Hawaii in 1957. 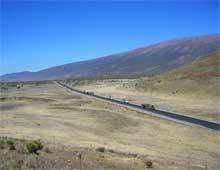 The State of Hawaii adopted a State highway system in 1965, and Saddle Road was included in this State highway system. An agreement was reached in 1968 between the County and State to exchange the road jurisdiction. 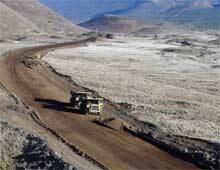 But, the State lacked necessary funding so the County continued to maintain the road. Until recent reconstruction efforts by the County, Saddle Road received only minimal upgrading since it was first built. 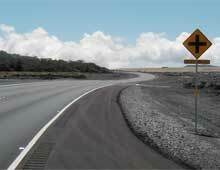 Fourteen miles have been widened and repaved just above Hilo, yet substandard conditions, steep grades, poor sight distances, and one-lane bridges still exist between Hilo and the Mamalahoa Highway. Today, Saddle Road remains inadequate in terms of acceptable roadway design standards. 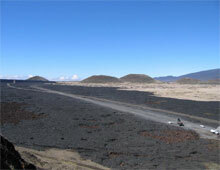 The Saddle Road, along with a portion of Kaumana Road, provides the only road access (some 53 miles) to Pohakuloa Training Area, Mauna Kea Science Reserve International Astronomical Observatory Complex, residential areas of Waikii Ranch, Mauna Kea State Recreation Area, Parker Ranch, Kilohana Girl Scout Camp, Kaumana City and Kaumana Caves County Park. Access to public lands and forest areas for hunting, gathering, ranching and recreation are also provided by Saddle Road. This two-lane Saddle Road connects Hilo from about milepost 7.8 to the Mamalahoa Highway approximately 6 miles south of Waimea. Saddle Road is the shortest route between the east and west side of the island, and as a result is widely used by island residents and a limited number of sight-seers, despite its poor condition. Saddle Road has become an important cross-island link between the county seat of Hilo, the northern town of Waimea, the district of Kona, and the resort areas of the Kohala Coast. 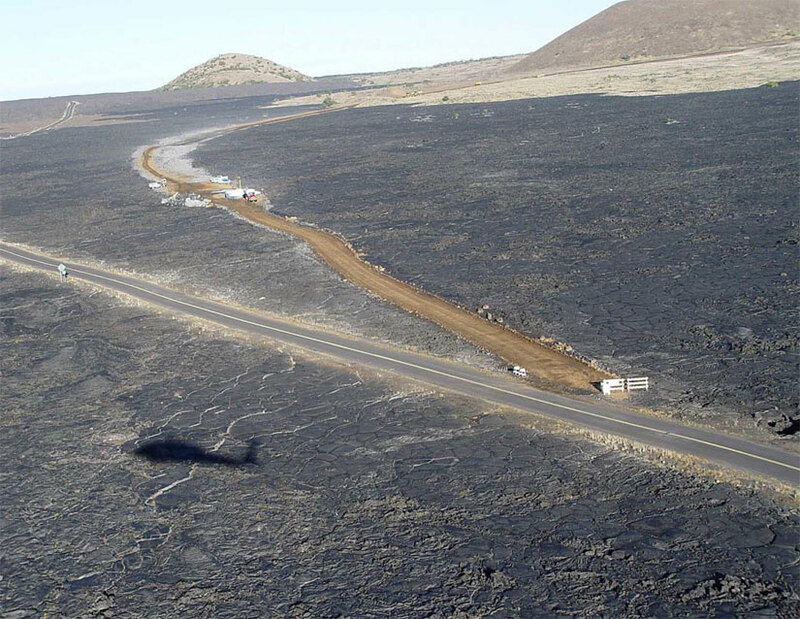 For more than two decades various government agencies have discussed the feasibility of upgrading the Saddle Road corridor as a vital link between East and West Hawaii. In 1992, Senator Daniel K. Inouye initiated formal discussions through the Department of the Army and the Federal Highway Administration (FHWA). The Federal Highway Administration (FHWA) and the U.S. Department of the Army, in cooperation with the Hawaii Department of Transportation and the County of Hawaii, are now proposing to improve Saddle Road. FHWA is the lead federal agency. Proposed improvements would upgrade Saddle Road to a two-lane highway with shoulders to provide adequate capacity to handle projected traffic volume for 20 years into the future, and bring the roadway up to appropriate design standards. Even without proposed improvements, future traffic volumes are expected to increase to levels beyond the existing road's ability to handle. As all present roadway users know, military training operations occur along Saddle Road in the Pohakuloa Training Area (PTA), creating potential conflicts and safety hazards for motorists on Saddle Road. To separate Saddle Road traffic from ongoing military operations to improve safety and reduce conflicts, the Military Traffic Management Command (MTMC) has approved the use of Defense Access Road funds (DAR) to design and construct Saddle Road improvements within the boundaries of PTA. This substantial contribution is the "Defense" fair share for State highway improvements. Funding for the rest of Saddle Road improvements will have to be provided by other sources. 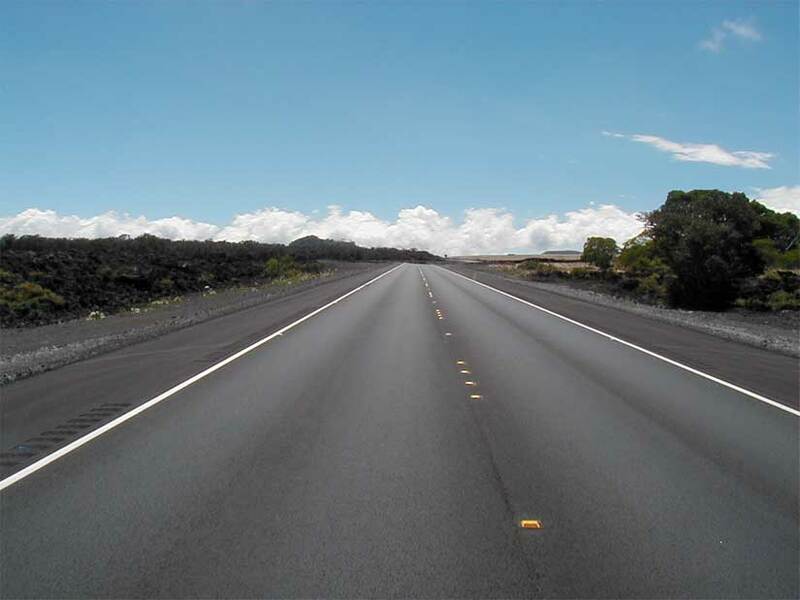 An Environmental Impact Statement (EIS) for the entire Saddle Road (from milepost 6 on Kaumana Drive to the Mamalahoa Highway) is being prepared with DAR funds authorized by the MTMC. Also, MTMC is authorizing Army DAR funds for final design work within the PTA boundaries as those funds become available. Although paved for its entire length, Saddle Road is a narrow, winding, barely two-lane road with steep grades, sharp curves, poor pavement and substandard drainage. Even with the limited County reconstruction efforts, geometric deficiencies still exist. Today, the alignment, grade, sight distances, drainage and other features remain substandard for arterial highways. Of utmost concern are what is termed as horizontal and vertical alignment deficiencies, conflicts with military training exercises, poor pavement conditions, narrow road width, roadside hazards, inadequate signing and pavement markings, and the lack of shoulders. Saddle Road is used as two-way access, yet traffic lanes with poor pavement, and inadequate shoulders encourage motorists to drive in the center of the road. This, of course, creates a very hazardous situation that increases the potential for head-on collisions. 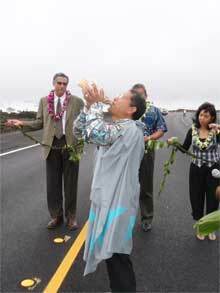 In one stretch of Saddle Road alone, between PTA and Mamalahoa Highway, there are six one-lane bridges. Not surprisingly, Saddle Road has a higher accident rate when compared with the overall average accident rate on other rural, two-lane highways on the Big Island. A recent seven year traffic study put the accident rate for Saddle Road at 4.7 accidents per million vehicle miles versus the average of 3.0 accidents. The types of accidents reported included 4 fatal accidents, 258 injury accidents and 260 property-damage-only accidents. The primary purpose for the proposed improvement is to reduce the conflicts between military operations and other Saddle Road traffic, and provide a safe highway through improved design for future traffic volumes. Conflicts do arise between military vehicles traveling Saddle Road at 25 m.p.h., soldiers and tanks crossing this road at strategic locations, and civilian cars driving this very same roadway with driving speeds often exceeding safe limits. Motorists may encounter soldiers or military equipment crossing Saddle Road at any time, not to mention the frustration of driving behind a slow moving convoy which can cause motorists to attempt unsafe passing maneuvers. Even with strict military regulations for vehicular traffic and ordnance movement, authorities have continuing concerns for the potentially dangerous combinations of civilian and military traffic. In May 1993, U.S. Senator Daniel K. Inouye formed the Saddle Road Community Task Force with secretariat support from the Hawaii Island Economic Development Board as a channel for community input and consensus-building. Alternative corridors and route alignment, environmental protection, Native Hawaiian concerns, and accommodations for the military were some of the issues discussed at various task force meetings. FHWA organized a Social, Economic and Environmental Study Team (SEE Team) to guide the Saddle Road project through the development process. Members of the SEE Team include representatives from FHWA, U.S. Department of the Army, Hawaii Department of Transportation, County of Hawaii and U.S. Army Corps of Engineers. It is this professional team's job to guide the project development through the EIS process. Both of the above mentioned "teams" were instrumental in developing the alternatives. Project scoping, surveying, mapping, engineering studies and environmental work have been undertaken. In October 1994, possible route improvements evolved into those alternatives selected for study under the forthcoming EIS. Mapping and engineering programs began in February 1995. These programs included the ground survey, mapping, drainage and geotech reports, alternative alignments and grade, cost estimates, agency review and a final report. Also in February 1995 a limited start was given to the required environmental studies; the full go-ahead was given eight months later. Between February 1995 and November of this year, public and agency project meetings continued, environmental inventories and studies have been ongoing and alternative routes have been modified as a result. All of this information will be combined in the EIS and released for public review. Current plans call for the completion of the draft EIS in March of 1997 and final EIS next December. Defense funding is still pending for the final design and construction efforts for the PTA section, roughly one-third of the entire route. To date, $5 million in Army DAR funds have been secured and authorized for the EIS and on-post design efforts. Another $1.5 million should be available in the next few months. 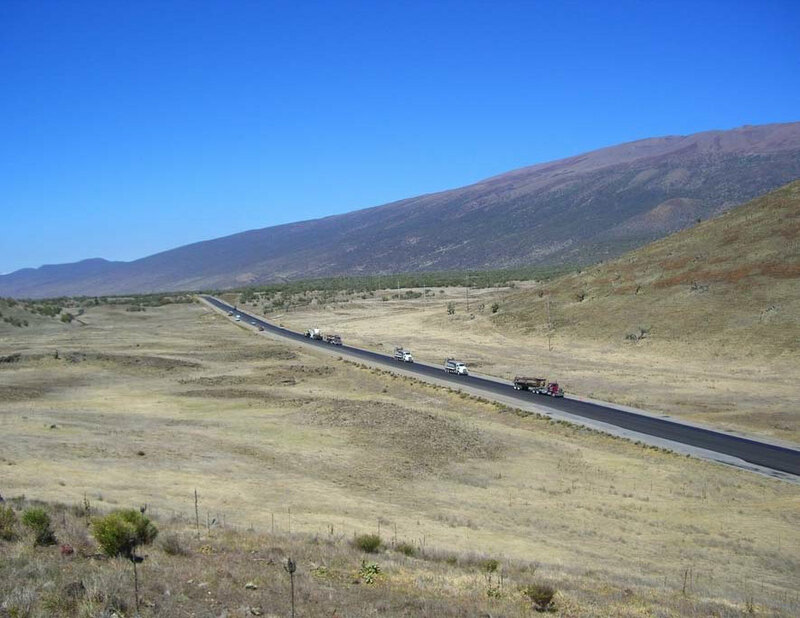 Only if one of the "build" options defined in the EIS is selected as the preferred alternate, and all remaining DAR funds are authorized and appropriated in fiscal year 1998 could reconstruction of this 13+ mile section (roughly from milepost 42 to the Mauna Kea Access Road) begin as early as mid-'98. Construction funds are being sought for the balance of the project. We hope this information has been informative. We plan to distribute three additional newsletters to keep you up to date on Saddle Road. Our December issue will focus on the alternative routes under consideration and will provide a detailed map. February's issue is planned around the environmental issues the project faces, and April will discuss environmental mitigation measures. Should you wish to schedule an informational presentation to your group or organization, please contact Big Island Project Coordinator Bill Moore c/o Okahara & Associates, 200 Kohola St., Hilo, HI 96720, (808) 961-5527.